Football season is finally here! It’s time for enthusiasts to venture out into that awesome fall weather to support their favorite teams. Like all great fans, everyone wants to make sure they have packed the essentials! Although everyone is initially enthralled in the game, after the first hour things can get a little rough if fans don’t have their favorite stadium refreshments. As people are sure to be reaching for the drinks, let them wrap their hand around a cup proudly displaying your logo! 17 oz. 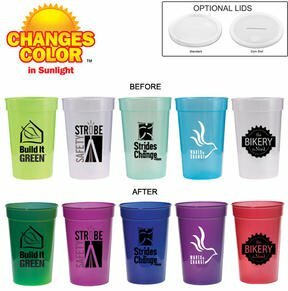 Smooth Stadium Cup: This stadium cup comes is a considerable variety of colors that will complement your logo! This product has two lid style options available and is make of durable plastic – it is also dishwasher safe! 17 oz. Nite-Glow Stadium Cup: Now your clients can bring something cool to those night games! 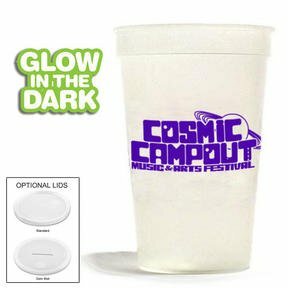 Let them be the envy of everyone with their glow in the dark cup! Help your logo stand out in the crowd. 17 oz. 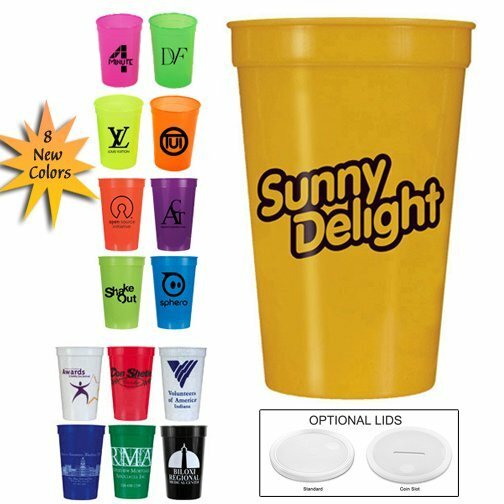 Sun Fun Stadium Cup: This is a fun option for people to choose when going to support their favorite teams. 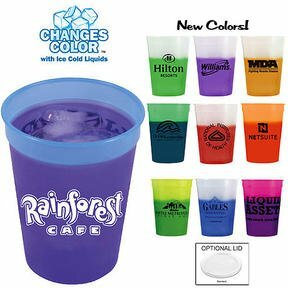 These cups change color in the sun and will make any refreshment even more enjoyable! 16oz. Stainless Vintage Uno Cup: This higher quality cup is made out of stainless steel, and can hold both hot and cold drinks. This can be used in any weather and will keep the viewer satisfied during the whole game. 20oz. Stadium 2 Go: Let your customers bring something big to the game and fill it with their favorite drink! These cups are equipped with a snap on lid with swirl designed straw. When you are cheering because your team made a touchdown, you don’t have to worry any more about spilling your drink! Uno Can Cooler: Don’t allow your consumers to get stuck with a warm drink again! Now you have the answer to all of their refreshment needs! 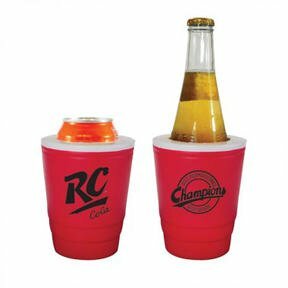 This Can Cooler will keep your drink icy cold throughout the game. It’s their turn to sit back and relax! 12 Oz. Mood Stadium Cup: This cup is perfect for any game or event…..and it comes in 10 vibrant colors. But as if that isn’t enough, as a person enjoys their cold beverage, the cup turns colors. 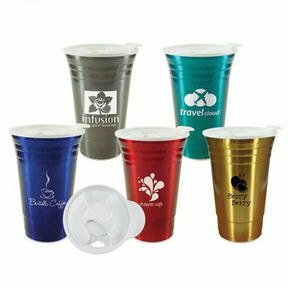 These cups offer an opportunity to catch the eye of other individuals as they watch in interest and notice your logo. 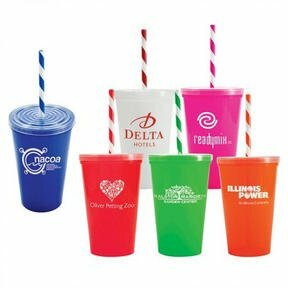 Personalize these cup for your company to communicate your services! 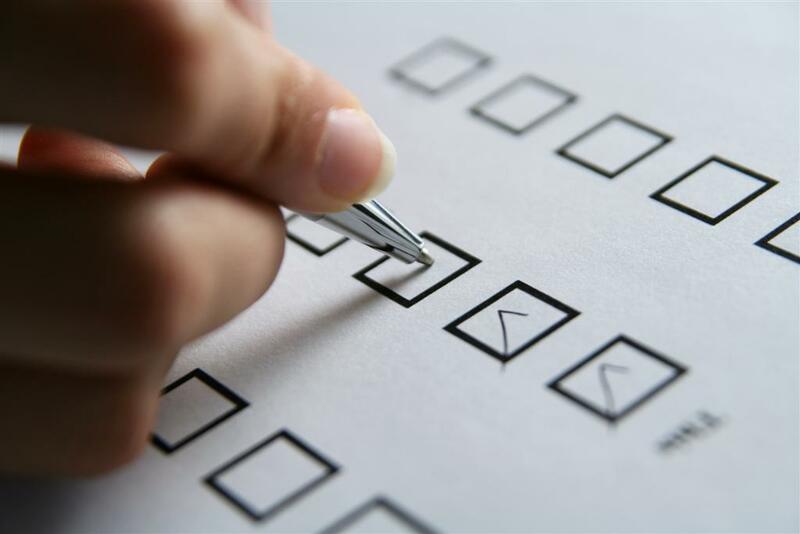 Want to keep up all the time? Make sure to join our VIP List! 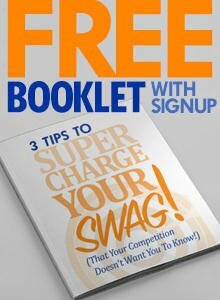 Our VIP’s get an email with the latest content…and other special offers as well. Join here.